So cool, and so easy to care for! 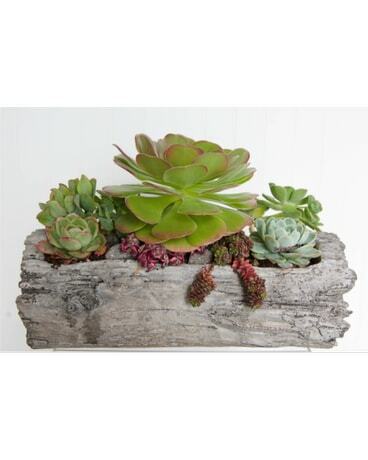 Succulents are super popular right now and they look fantastic when set in this faux wood planter. It's the perfect table center for outdoor entertaining! Please note, this selection of succulents is not winter hardy so must be protected from frost. One size only for this container.